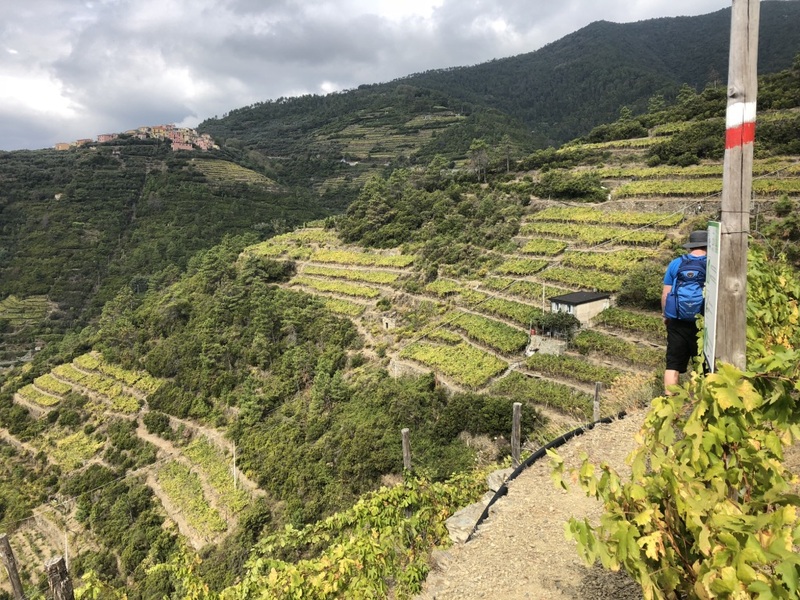 Cinque Terre – Walking in vineyards on the trail from Riomaggiore to Manarola. This is a stunning walk, steep climbs, some narrow track and then walking in the terraced vineyards. Soak up the history here, the incredible hard work that went into establishing these precipitous terraces! There are also some olive groves. The olive trees are much smaller than the one in my home garden in Australia.